Getting school pupils outdoors can help boost their development and wellbeing, growing evidence has found. Being outdoors, whether for school residential trips or general outdoor play can help increase fitness levels and raises vitamin D levels which helps boost health and wellbeing. But it isn’t just the health of children that can benefit. Growing evidence suggests that learning new skills outdoors can boost a child’s welfare and their performance at school. It also states that spending time in a natural environment can reduce stress among young people, whilst boosting their problem-solving and creativity. A study conducted back in 2004 also found that students taking part in environment-based learning had increased levels of motivation. A small-scale research project in the US also found there may be untapped benefits for children with special education needs. The project reported that contact with nature could reduce the symptoms of attention deficit disorder in children as young as five years old. Getting young people out and experience the joys of natural, and the activities that can be enjoyed on both land and in water is a big part of what our activity centre is about. 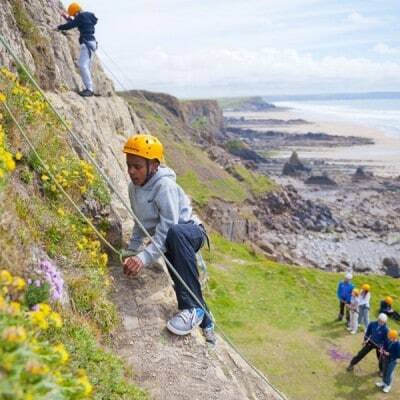 Why not contact us today for more information about our residential trips?